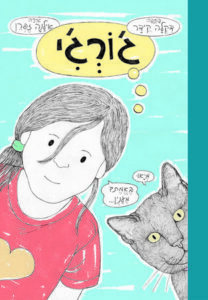 Life is not fair, thinks Aviv, when her beloved cat Georgie gets lost. But the search for Georgie leads Aviv to fresh discoveries, not only of new friends and wayward cats but also of her true self. An original coming of age story in which we meet a young heroine with an open heart and find out that children, cats and life can be full of surprises. Ilana Zafran’s illustrations add wit and warmth to this memorable story about mending young hearts. Deakla Keydar is the author of Mummy Don’t Go and The Sad Alligator and the Fly. This entry was posted in Fiction and tagged Kinneret Publishing on November 8, 2017 by sbarrouillet.